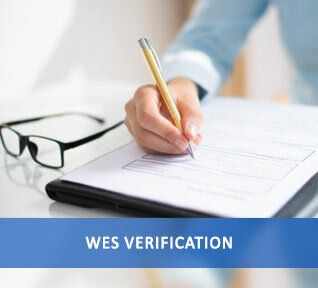 WES [World Education Services] verification is the evaluation of your credentials to get admission in universities and employment opportunities in Canada and the US. You are required to get WES verification if you are travelling to Canada or the US for higher studies. Furthermore, the WES verification report can get you to obtain a good job position equivalent to your qualification. WES or World Education Services is a private organization that helps students and professionals from other countries other than the US and Canada to get job opportunities and do higher studies through credential evaluation. Are you planning to migrate to the US or Canada for higher studies? To get admission in universities or schools in the US and Canada, your credentials from prior education should meet the academic criteria of the colleges abroad. They will evaluate your credential based on that. Getting a WES verification can make the authorities to easily understand the equivalency of the credentials you obtained in a much more familiar term. That will make the admission process in universities or schools in US and Canada easier. WES verification is also required for getting a suitable and better job opportunity in Canada and the US that match your qualification. Having a WES certificate can make your employer understand your educational qualification and equivalency in better terms. The main procedure of WES verification is university verification. The universities from where your educational credentials were issued have to send the verification back to WES. WES verification is much more difficult than normal attestation procedures. You need to understand the rules and should know how the credential evaluation happens. Urogulf can help and guide you in the WES credential evaluation process. From giving you basic info about WES and its evaluation procedure to throughout the verification process, we will be there for you. Urogulf can help you to track the status of your WES verification easily so that you can get up-to-date details of your status. Urogulf has offices in throughout India and the Middle East. So you can approach us at any of the nearby Urogulf offices for WES verification services.